Daniel Eliot (right) of the Delaware Small Business Development Center works with business owners to help them get up to speed on cybersecurity. Here, he is talking with Moses Senesie, who assists SBDC with business research. Senesie is studying business analytics and working toward his MBA at UD’s Lerner College of Business and Economics. While you’re out there living your life, cybercriminals are at work trying to get something that isn’t theirs – all day, every night, on weekends and holidays, 24/7. You can see the constant combat on a map of the world – hundreds of thousands of real-time attacks – on security websites such as FireEye, whose CEO, David DeWalt, earned his degree in computer science at the University of Delaware. What’s a small business to do? UD is addressing that question in significant ways, building a cadre of trainers and consultants and a menu of programs that can help everyone shore up their cyber lives. Daniel Eliot, for example, has done exemplary work toward this at the Delaware Small Business Development Center, a unit of OEIP. Eliot, manager of SBDC’s technology business development, launched a program called DatAssured in 2016 and more than 250 small businesses have taken the training, which focuses on operational and behavioral aspects of security. The program has received national attention and high marks from the U.S. Department of Homeland Security, which shared it as a “Resource of the Month.” Eleven other states have adopted the training program so far. And they really need to. 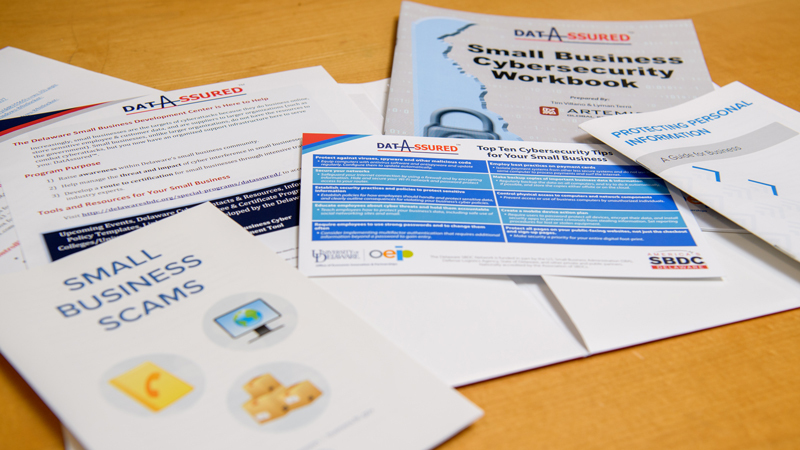 The Delaware Small Business Development Center has developed a cybersecurity training program – DatAssured – that has received national attention. The idea isn’t to make coders or tech experts out of everyone. The idea is to help small businesses shield themselves from disaster – in industry-specific ways – because it’s especially tough for them to recover from a security hack and its far-reaching repercussions. Aren’t small businesses too small to be a profitable target, as some believe? Through SBDC, small businesses in Delaware now have access to training that will help them develop strategies, skills and safer cyber practices, no matter what their business focus is. Just as a storefront needs security, so does an online business. Insurers and lenders want a good security plan in place before issuing cybersecurity insurance or lines of credit. A team of UD students is available to consult with small businesses who want to tap into their cybersecurity expertise. 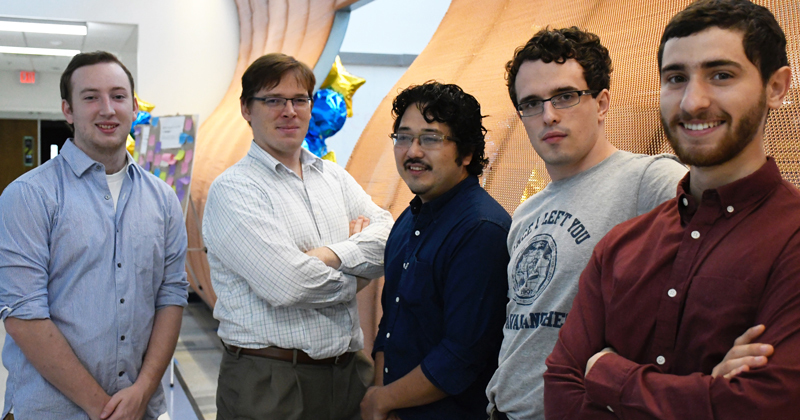 The team is directed by Assistant Professor Andrew Novocin (second from the left) and includes (left to right): John Roberts, Teddy Katayama, Ryan Barbera and David Geron-Neubauer. A new team of UD students now is offering cyber expertise to area businesses. It’s a free service to the five clients on the team’s list so far, but it’s likely a fee will be added as their work becomes known and demand increases. The team – known as GMSecurity – includes high-level UD computer science students at the undergraduate and graduate levels, many of whom have industry experience. All are skilled in assessing systems, developing protective processes and helping businesses take steps to strengthen security. The team works under the direction of UD Assistant Professor Andrew Novocin, an expert in cryptography, who also leads the University’s Vertically Integrated Projects (VIP) program that links undergraduates with graduate students and faculty members to address a wide range of practical challenges. Some students in VIP’s “Crypto-Cloud” team are in training now and plan to join the cyber consultants in the spring semester. The student-led team has expertise in encryption, malware detection and cleanup, password practices and data storage. In addition to Geron-Neubauer, the core of the team now includes Teddy Katayama, a doctoral student from Virginia Beach, Virginia, with experience in network security, and two other senior undergraduates – John Roberts (management information systems), who has experience in software development, and Ryan Barbera (computer and information science), who has experience in full-stack web development, both of Newark, Delaware. 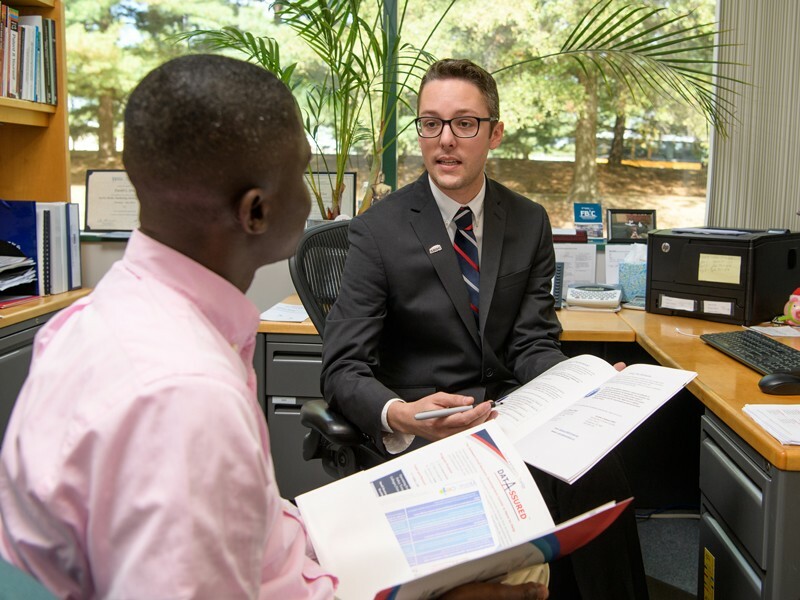 In their first visit to a client’s business, students talk with the owner or manager to learn about their concerns, get an inventory of the office computer network and how it operates. Later, they test systems and programs, looking for vulnerabilities and weaknesses that should be addressed. They work in confidence throughout the project, protecting data, proprietary and personally identifiable information. And they offer an intrusion detection system that can automatically notify the team when something happens that requires attention. All of that requires a level of trust that the team’s association with Novocin and UD and its growing menu of cybersecurity programs helps to provide. UD’s Cybersecurity Initiative has been designated a Center of Academic Excellence in Cybersecurity by the U.S Department of Homeland Security and the National Security Administration. UD offers an undergraduate minor in cyberscurity, a master’s degree, professional certification and other customized training opportunities. UD also participates in several statewide cybersecurity efforts and Weir and Eliot both serve on a subcommittee of the Governor’s Cyber Security Advisory Council. Elayne Starkey, who has a statewide view of cyber issues as chief information security officer for the Delaware Department of Technology and Information (DTI), sees UD as a pivotal part of a growing network committed to strengthening the state’s security. “It’s not just about combating the threats we face every day – and there are many,” she said. “We’ve been thrilled to partner with the University of Delaware in training up the next generation of cybersecurity professionals. We have made such great strides and we all have a similar passion, whether it’s finding new tools to defend networks, training a new generation or making sure small businesses are equipped to build up their defense. We have found all kinds of opportunities to link arms and move forward together. “You’ll never hear me say we’ve done all we can do,” Starkey said. “We have a mantra with my team – ‘this is a race with no finish line….’ The hackers just have to be right once. We have to be right all the time. So we never say we’ve got this covered. It just doesn’t work that way. As he reviews the ever-changing cyber landscape, OEIP’s Weir agrees that the state is moving in the right direction. Those links strengthen everyone, Eliot said.